This was found in a used book that my boyfriend was reading. It is a perfect seventies photo of what looks like a mom and her daughter. 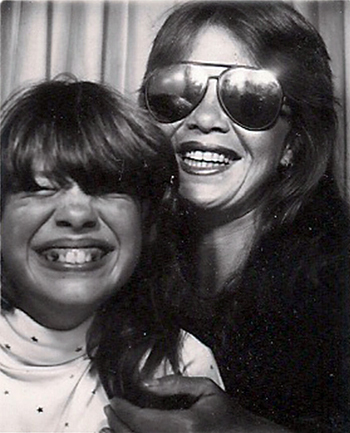 Mom has freshly done her lipstick and has the perfect sunglasses on while her daughter is enjoying the thrill of the photo. Finding this seventies shot in a book my boyfriend is reading is appropriate since I joke that his coming of age of the seventies is where he is stuck in reference to books and music.